This is a rectangular Noonan’s Hair Petrole porcelain sign. This particular Noonan’s Hair Petrole sign is predominantly red and blue with white text. 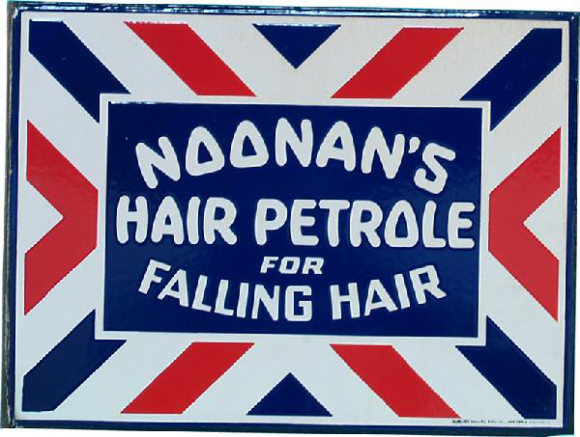 It reads, “Noonan’s Hair Petrole For Falling Hair” and features red and blue stripes.